Franklyn Lisk, a development economist and policy adviser with over 40 years of professional experience, is currently a Visiting Professor at the Politics and International Studies Department, University of Warwick, UK, where he specialises in the international political economy of African development, including China-Africa relations and global health governance. He is also the Africa Lead for the university’s Global Research Priority Programme on International Development. Outside Warwick, Professor Lisk is a Senior Associate of the Center for Research on Political Economy (CREPOL), Dakar, Senegal, and the Center for Global Development, Washington DC, USA, and an honorary visiting professor at the University of KwaZulu-Natal in Durban, South Africa. Additionally, he regularly provides technical advice on international and national development strategy and policy issues to UN development and donor agencies, African regional institutions and national governments. Prior to joining Warwick University, he was taught and carried out research in universities in South Africa, Switzerland, Holland, Trinidad and Tobago and Sierra Leone. He also worked for several years at the Geneva-based International Labour Organisation (ILO) where held key positions including Senior Economist, Regional Adviser on Employment Planning and Policy for the Caribbean, Deputy Regional Director for Africa, Director of ILO Liaison Office in New York and Special Representative to the UN and the Bretton Woods institutions, and founding Director of the ILO Global Programme on HIV/AIDS and the World of Work. He has published widely on national and international development and globalisation issues, including employment promotion and labour market policies, poverty reduction and sustainable development strategies, China-Africa relations, global health governance, natural resources management and climate change. 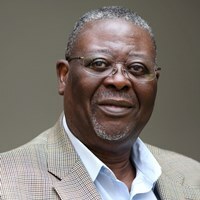 Professor Lisk holds a PhD in Economics and West African Studies from the University of Birmingham, UK, where he commenced his professional career as a lecturer in development economics in the early 1970s.